Have you ever attempted to take a great shot of 4 or more people (especially involving babies or children) and gotten frustrated at how SOMEONE always looks wretched in every single photo? Finally get the kids to smile? Then of course you are going to be blinking or looking the other way. Well I have a dirty little secret I’m going to share with you and it might just save your family photos – it’s called compositing. Whenever I take a group photo I’m like a crazy person with the shutter button, taking at least 10 frames of every grouping. I do it at every wedding and portrait shoot that I photograph and I even do it with my own family. Why you might ask? 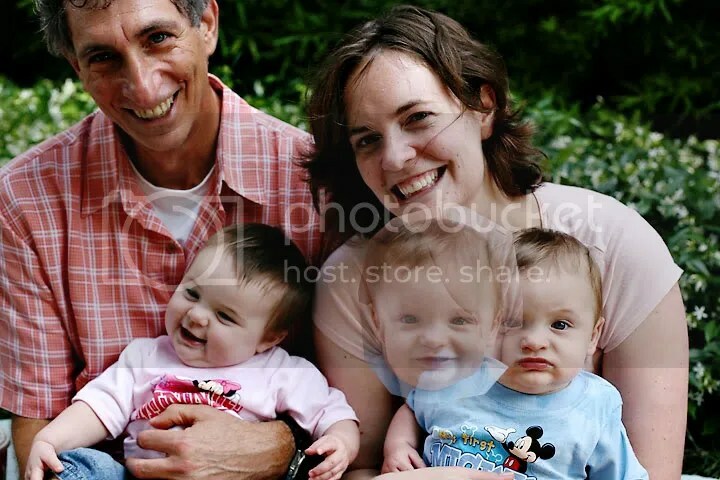 Because if Uncle Bob or Grandpa Jim is blinking in that one photo that you would otherwise love… you can just grab his head from another shot and pop it right on there. And no, I’m not joking. It’s really not all that hard either and I’m going to walk you through it right now. First up I have to say that for this to work out you need do a couple of things with your camera WHILE TAKING THE PHOTOS. Photoshop works wonders but it will be much much easier to pull this off if you take a couple of seconds to prepare in advance. Step one – Make sure you are shooting these photos in manual mode. “Wait, help!” you cry… “I don’t know how to use manual mode!” Never fear. All you have to do is set your camera to the mode you normally use (say it’s aperture priority) and snap one test photo of your subjects exactly where you want them to be. Then use the menu on your camera to bring up the little preview of the image. There should be an option (on Canons it’s an info button) that allows you to see the settings that image was taken on. Just set your camera to that and you are good to go. The reason for shooting in manual is that if all of your images start out with the same exposure it will be MUCH easier to composite them together. When shooting in any automatic mode your camera may change exposure between frames. Step two – Make sure you don’t move between frames. If you get closer or further or move side to side it will change your perspective and make the swapped head look “off” and fake. Just try to stay in the same place and ask you subjects to remain in essentially the same place as well. It helps if you shoot these frames in rapid succession. Step three – You’ve got your images, now it’s time to move to photoshop, photoshop elements, or the editing program of your choice. Yes, there are better ways of doing what I’m about to show you but this is the EASIEST and the one you’re most likely to be able to master with only a rudimentary knowledge or editing programs. I used to do this for fun in high school so how hard can it be right? Open up your program and pick out all your images you’d like to use. For this demo I’m going to only use two images, you could use more if you have more people or want to swap more heads. 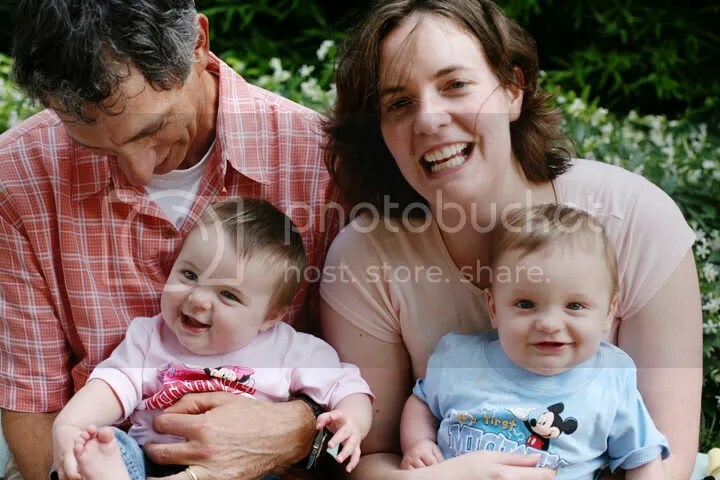 Here are my starting images, one with nice expressions on the babies and not the adults, and one the other way around. Step four – One of your images needs to be your “goal image”. This is the one that you like the best (other than that one pesky face that’s blinking or turned away). We’ll come back to this one later but first open up the image that you would like to use the head from. 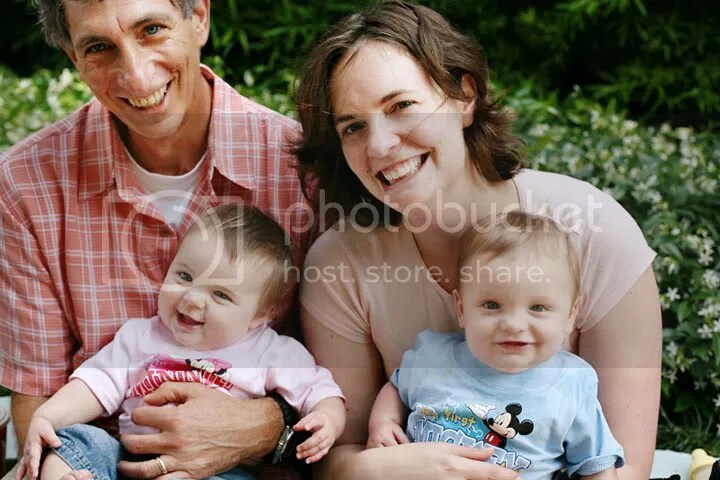 I’m choosing the image with the nice expression on the adults as my “goal image” because I feel like it will be easier to swap out the babies’ heads than it would be to swap out the adults. Step seven – With the opacity layerd you can now move the new face over the old one, it helps to line up things like the ears and eyes. Here is the new face (still at 50% opacity) lined up over the old one. Step eight – Once you’re all lined up turn back up the opacity to 100%. You’ll see the new face on the goal image but the edges probably don’t line up perfectly and that’s a-ok. You’ll notice in my example that the neck and shoulders of the baby’s shirt don’t line up perfectly. Step nine – This is where the magic happens 🙂 Take the eraser tool. In both photoshop and photoshop elements there are options for your eraser tool for the brush’s opacity. It will make your work a lot more believable if you lower the opacity to around 50% meaning that when you erase, it will only erase the image half way. This is important because when you erase at 100% opacity you’ll leave a hard line. If you erase twice at a 50% opacity the line will be much softer and you will hardly notice it at all. I like to use a fairly small brush and work around the edges inward in a few rounds of erasing. For this image I erased right up to the edges of the face and hair. I got rid of all of the parts where the shirt didn’t line up, and you can hardly see where the seam is. Here is the image with the new face. All done – Once the new face was in place I decided I’d like to swap out the second baby’s face as well. I followed exactly the same steps as for the first face. Once I had all the faces swapped up I did a bit of retouching (that’s a whole different topic we’ll go into another day!) and adjustments to the image and voila – my final composite. So much better than either of the starting images and no one will ever know 😉 unless you tell them that is… but let’s just let it be our little secret! Now that you know the secret all you need to do is promise me you won’t go photoshop crazy and swap heads on every one of your photos – this is obviously a last resort type fix… totally acceptable on large group shots or group shots with babies but you probably don’t want to hinge your career on the fact that if you screw it up you can always fix it later 😉 best to get it right in camera is always my motto… but if it doesn’t work out… well now you have one more tool in your toolbox! ← Amelia & Paul made the top 10!! VOTE PLEASE! Wow- this is awesome! I have photoshop elements but don’t know how to do any of this stuff so I can’t wait to try it!